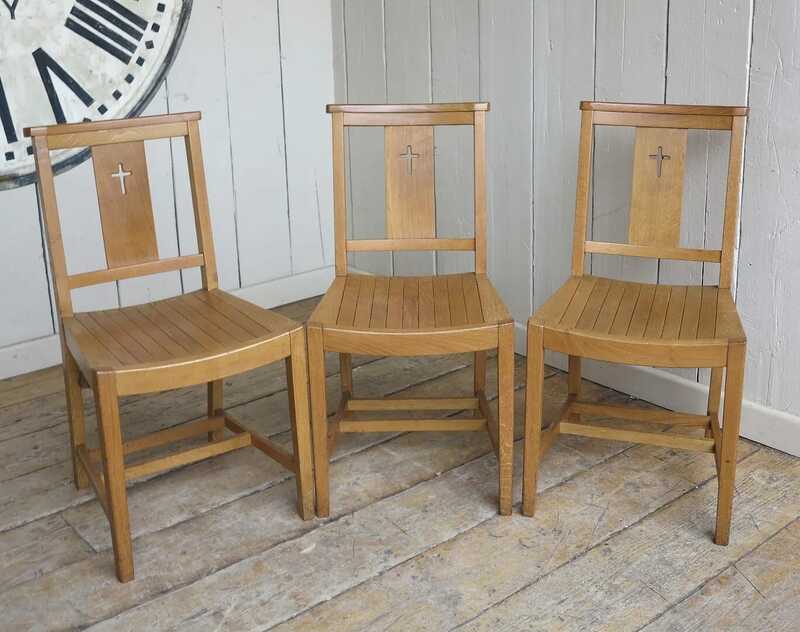 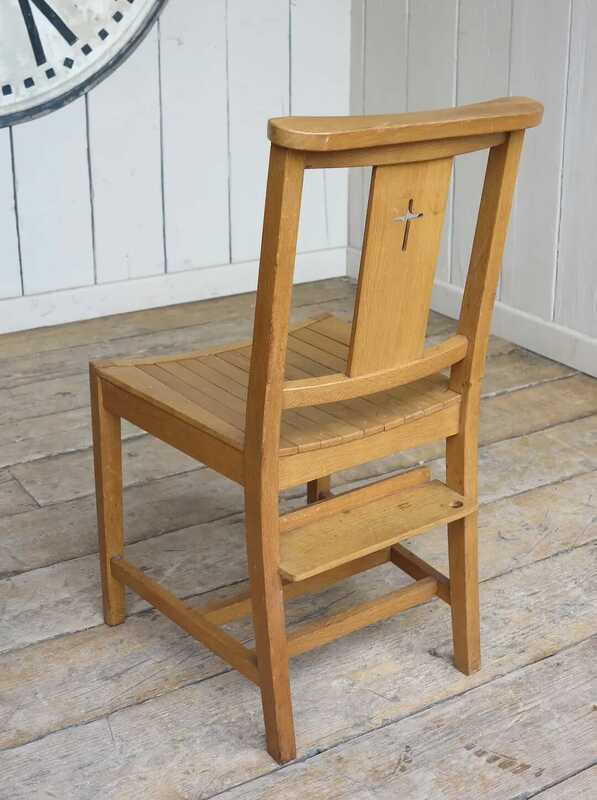 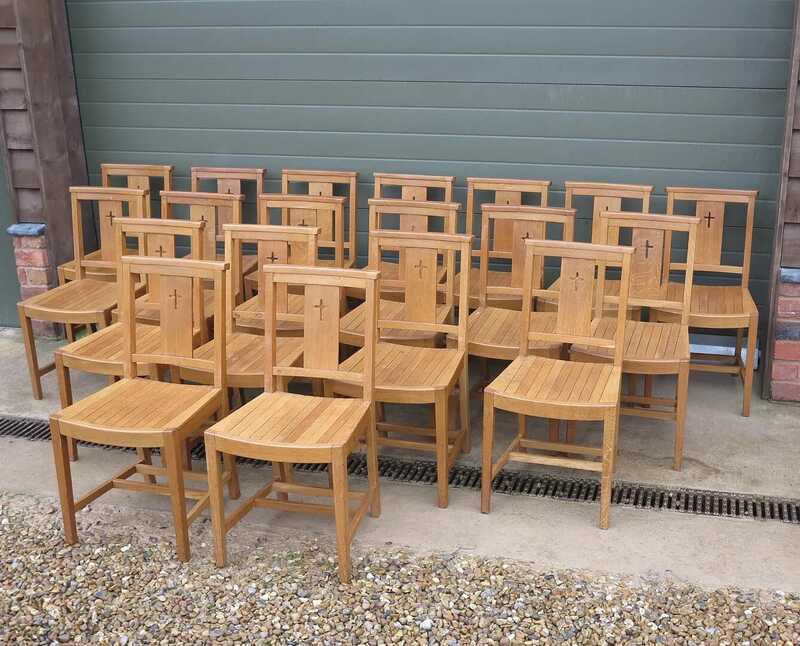 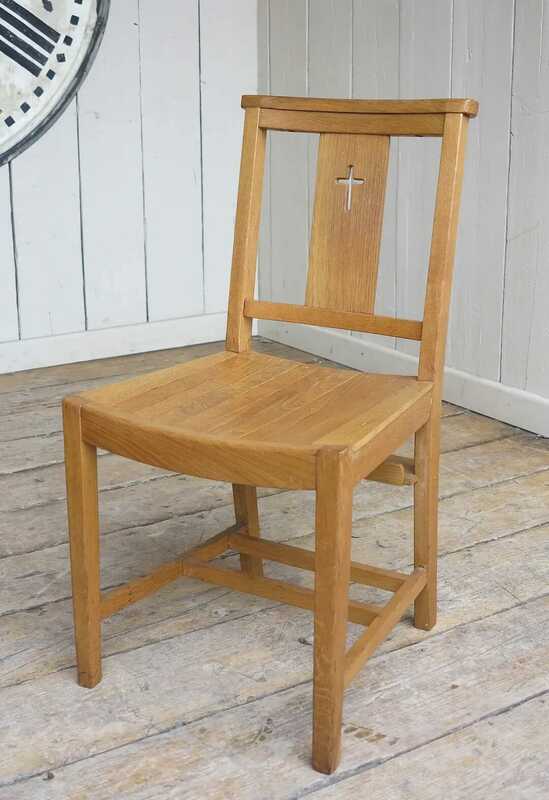 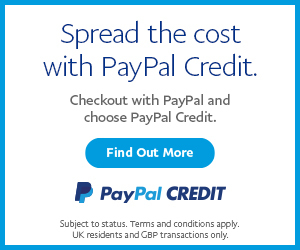 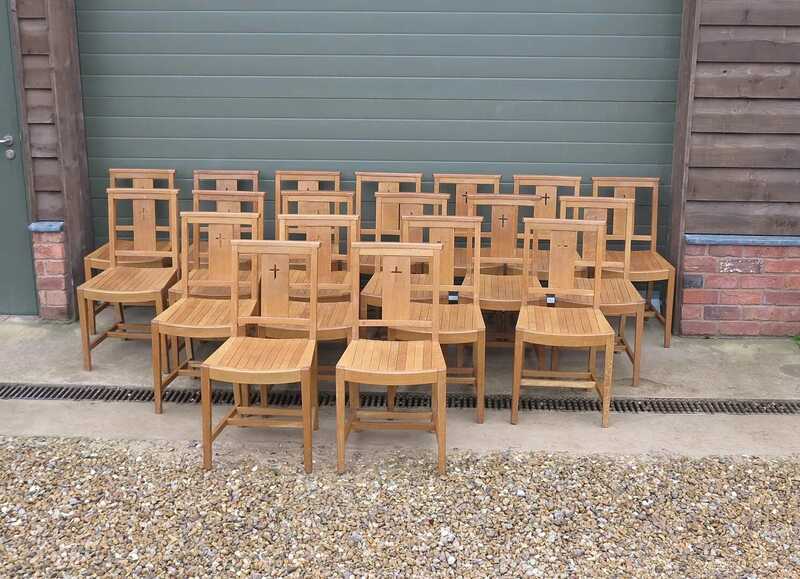 These are very solid and sturdy oak chairs with a cross and book shelf. 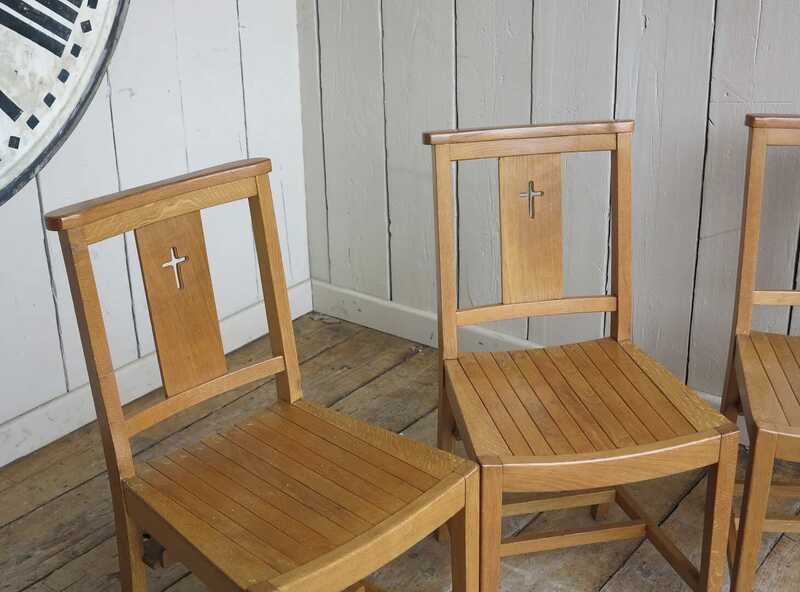 The chairs have a 17 ½" Seat Height x 33 ¾" Tall x 17 ¼" Wide at the front of the seat. 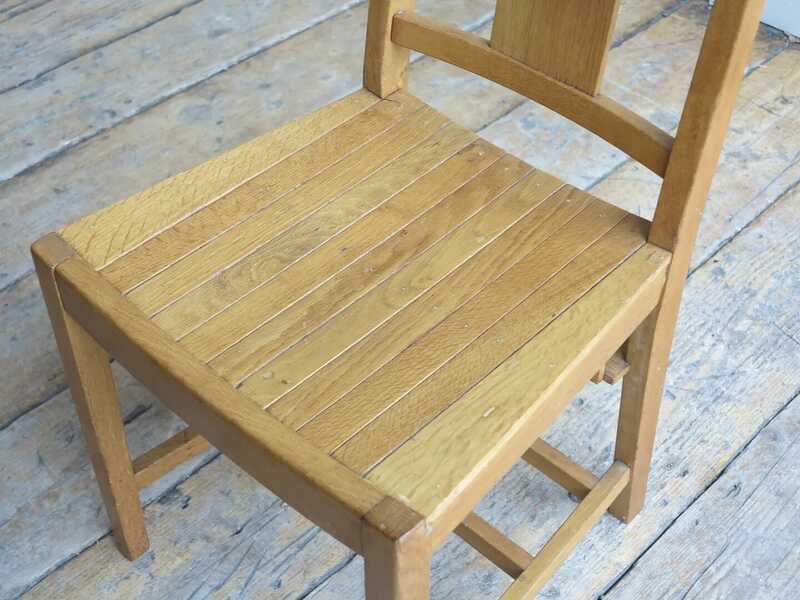 There is some evidence of old woodworm in a couple of the chairs, this has been treated.